Last weekend I took my son Freddie up to Edinburgh with me, so we could wallow in a whole weekend of books. 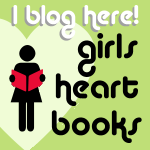 I was talking at the Book Festival with first Maggi Gibson, author of the Seriously Sassy series (which are fab – read them NOW), and then Lynne McCrossan, author of A Girl’s Guide to Vintage (which is as good as it sounds; she writes about affordable vintage looks, so you probably need a copy of that too). I make this sound as though it’s the kind of thing I do every day. It’s not. It was VERY EXCITING INDEED and I loved every minute of it – especially meeting other writers, answering questions and meeting readers afterwards in the signing tent. When I wasn’t talking or hanging around in the author’s yurt, with my mouth hanging open, seeing so many of my favourite writers just loafing about, eating pastries and drinking coffee … I was off being a fan with Freddie. We saw Cathy Cassidy (for me), Robert Muchamore and Derek Landy (for Freddie). They were all fantastic. So inspirational. London has been through a lot recently, like other British cities. But what has shone through in the last few days is what a beautiful place it is to live, and how full it is of people who love it, and care about it, and will do what it takes to make sure that goodness prevails. 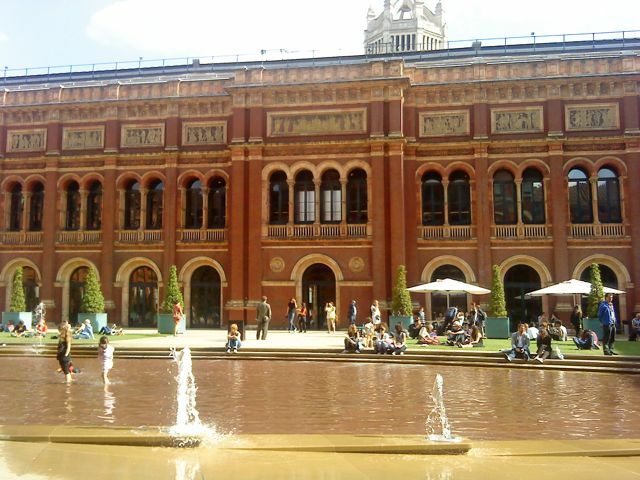 Which reminds me of the tough but vulnerable girls I imagined meeting up at the V&A a few years ago, and whose story I was talking about while we sipped our coffees in the sun. People banding together in the face of adversity, and making the world a better place. 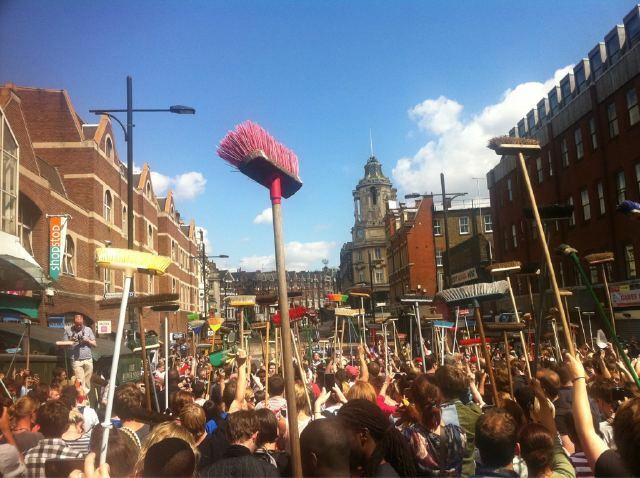 This is a now-famous picture taken at Clapham Junction, near where I live, that afternoon. They had come from all over to take part in a massive cleanup operation. On Tuesday, and much to our own surprise, London was a great place to be. Just finished this on my Kindle. Loved it. (I’ve been dead jealous of Caitlin’s precocious writing talent for years and years.) I followed her on Twitter while she wrote this book, so I feel as if I was there. I love what she says about politeness, waxing, 100,000 years of oppression – ending in about 1986, being vs doing and bad boyfriends. She is entirely wrong about heels, but you can’t have everything. Thanks to my lovely friend Keris, I spent a fabulous summer exploring New York – one of my favourite cities. All on my Kindle. All in two days. 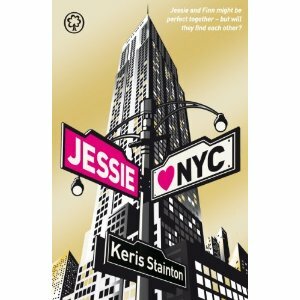 Jessie is not the only girl to heart NYC. Look out for the gold cover. Gorgeous! Seriously funny. Seriously mad. Seriously engaged in the world around her. Seriously unpredictable. I love Sassy and her friends, and I love Maggi, who made them. So I can’t wait to be onstage with Maggi on Sunday, talking books in Edinburgh. Woo! This book arrives tomorrow. It might as well have been written for me. I’ll be talking to Lynne at Edinburgh too. (Check out her gorgeous fashion-y blog here.) There are rumours of a *whisper it* FASHION SHOW at our event! Woo woo! As you probably already know, I’m a big Meg fan. But I’ve always thought of her as a rather serious writer, despite her funny blog, which I love. However, the blurb on the back of this new book is hilarious, and near perfect. It has a strong ring of Douglas Adams about it (The Hitchiker’s Guide to the Galaxy), which is no bad thing. This it the book I’ll be taking to Edinburgh to read on the train on the way up – when I’m not teaching my son long division, that is. (It’s going to be SUCH an educational trip.) His reward is to read Meg after me.